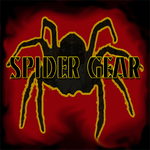 Sign up for Broadjam today to follow SPIDER GEAR, and be notified when they upload new stuff or update their news! Fun, Fast and Furious examination of the mainstream media and manipulation of the public by big business and the US Govt. Early 80s new-wave feel with modernized vocals and novel lyrics.